Sometimes a defect or imperfection in the gum tissues prevents a patient’s true smile from being displayed. 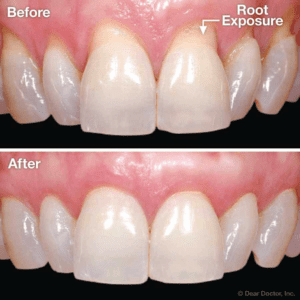 This can be an issue of a “gummy smile,” or, on the contrary, recession of the gums leading to exposed root surface. 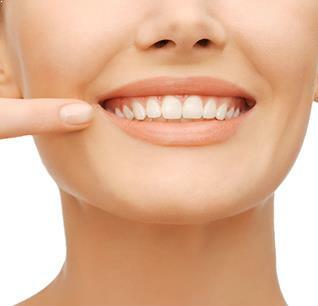 In any event, gum contouring allows patients to achieve their maximum state of health and beauty by enhancing something other than the teeth, the gums! If a patient displays too much of their gum tissue when they smile, this can lead to self-consciousness about their teeth. In this situation, our doctors will use a comfortable surgical procedure, in combination with laser treatment, to move the gum tissue into a more favorable position. Our doctors may recommend lengthening the teeth by using a combination a veneers or Invisalign to achieve the maximum esthetic result. How do I correct recession? Receding gum tissue is a condition that effects many people. This recession can lead to sensitivity and a greater risk of decay. To fix this, a graft of your own gum tissue from the palate, or “roof,” of your mouth is delicately transplanted into this area of recession to allow for an increase in the tissue in that area. The palate and the transplant site both heal beautifully! Call today to learn more about the process and your options from one of our highly skilled dentists!